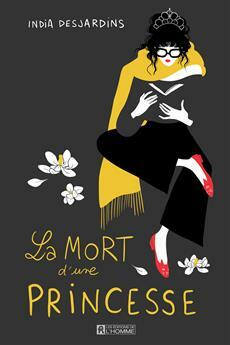 The new novel by the author of the million-copy bestseller The Diary of Aurélie Laflamme! Over 15 000 copies sold in Québec only! After the loss of illusions, is it still possible to be open to love? While on holiday with her lover, Sarah, a publicist in her early thirties, is dumbfounded when he announces without any warning that he's leaving her. The young woman suddenly realizes the scale of the illusions she has harboured with regard to their relationship. Feeling hurt, she decides to put love behind her and throw herself into her work. Seven years later, still single, Sarah continues to choose professional success over the possibility of romantic failure. But... Does love really have just one face? Can you really lock up your heart and throw away the key for a lifetime? Can reality sometimes be more beautiful than illusion? A journey into the emotional heart of a modern thirty-something woman. Universal themes: the loss of illusions, ambition, solitude, the damage of heartbreak, social masks and, of course, friendship. People it is easy to identify with. A remarkable sense of dialogue and a touch of humour.